As we all are aware that the empire of Sage 300 has been spread across the whole world. Sage 300 made itself more user friendly in terms of regional language. This is what we will be discussing into this blog. We will discussing about the user selectable language setting in Sage 300. This would be a really helpful feature of Sage 300 for those who has several remote offices in different countries may all need to access the same data, using different languages, and all at the same time. 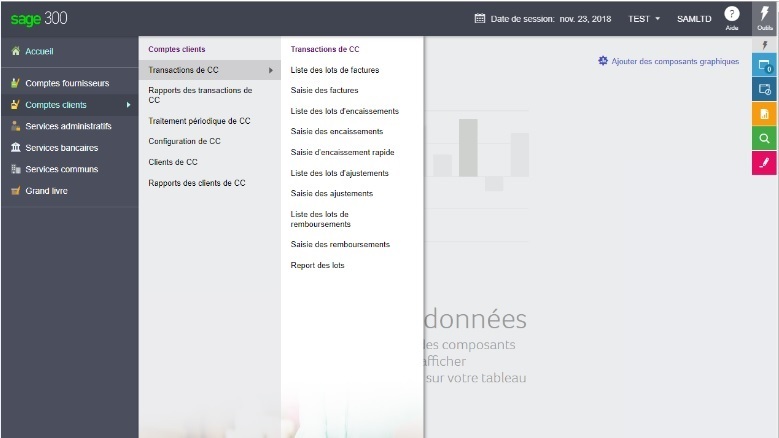 An administrator can set up Sage 300 users within the same company to use different languages. Below are the setting needs to be performed. Since we have changed the language for the user “Test”, we will now login the Sage 300 with “TEST” user and will check the impact of the same. Below is the snapshot of the Sage 300 Web Screens after we have logged in with the user “TEST”. 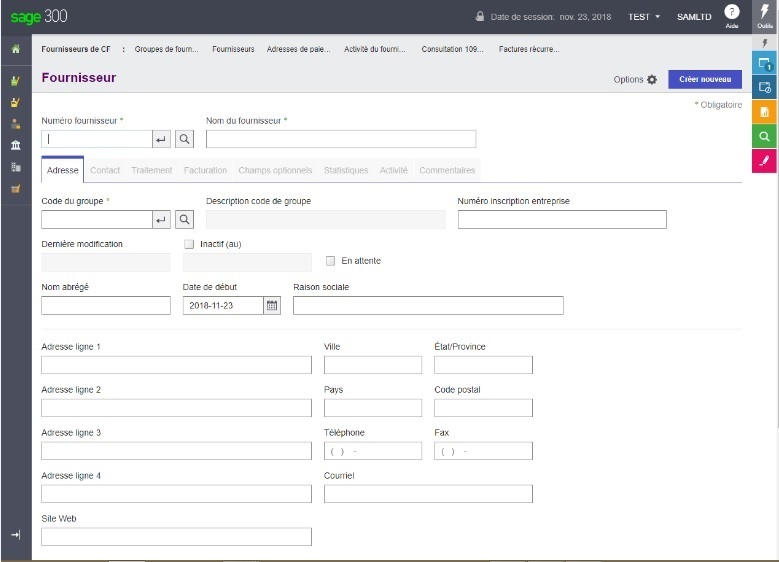 The user “TEST” has French language selected in the users setting criteria hence when he logged in the Sage 300 he will be able to handle the Sage 300 in more fluent manner. This feature would really help the users of a single company across the world.